The food pantry is open Tuesday, Wednesday and Thursday, from 10:00 a.m. to 1:00 p.m. for low income persons who do not have food or the means to purchase food. The pantry is stocked with canned goods, bread products, produce and frozen foods. Our Hunger Program Director oversees the pantry and the many volunteers who assist throughout the week. Fresh Produce, deli and pastry items, bread and periodically dairy and eggs are distributed every Monday and Friday around 9:00 am. This food is donated by area grocery stores. In addition, our mobile market occurs the first Wednesday of every month. 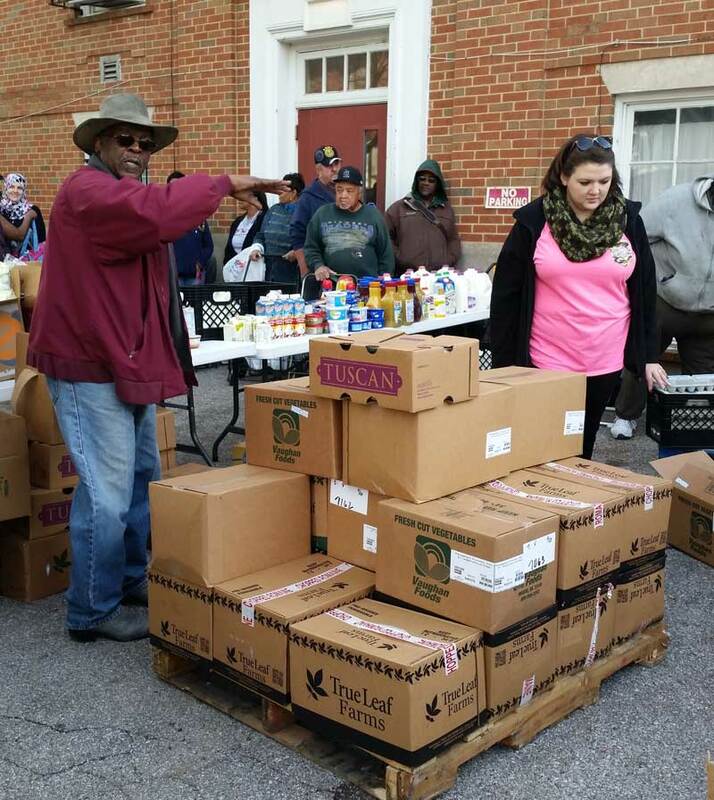 The St. Louis Area Foodbank delivers pallets of fresh food to be distributed to our clients. Because this food is perishable, it is distributed immediately to anyone in need. You can contact our Hunger Program Director, Meredith Jackson, via email at meredith@i58ministries.org. 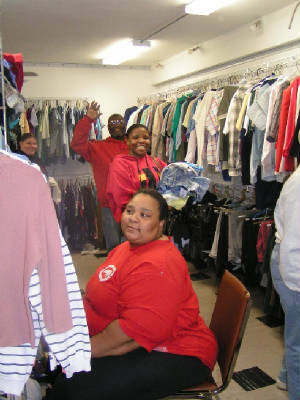 The thrift store is open Tuesday through Thursday from 10:00 a.m. to 1:00 p.m. for individuals seeking gently used clothing and household items. Clothing for all ages is available, from infant to plus size. There is a minimal charge for clothing. Business attire is also available for those in need of appropriate clothing for job interviews. The Soul Friends Group provides numerous opportunities for the individuals and families in our community to come together, get to know one another, build relationships and improve their lives. Lunch and Learn events around various issues, with speakers from the local community speaking on important topics. A free lunch is provided for all participants. Community Meals are hosted periodically throughout the year to encourage and nurture strong relationships. Field trips are planned periodically to allow participants to explore our wonderful city. 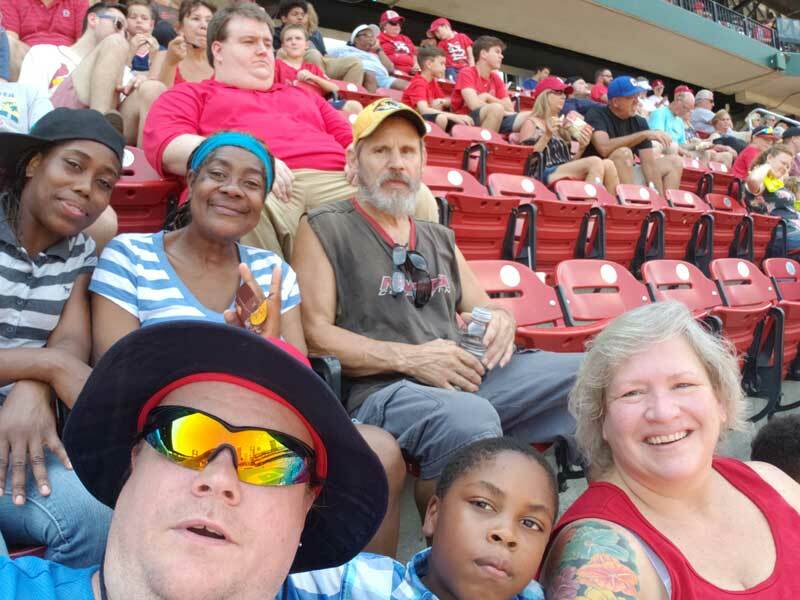 Friends gathered together to enjoy a Cardinals game.